Prominent & Leading Manufacturer from Ahmedabad, we offer horizontal pumps and horizontal centrifugal pump. Available in low-pressure range, these Diaphragm Motorized Pump choices feature mechanically linked diaphragms that provide for superior cost/performance ratio at minimum operational cost. Further, its modular construction also makes it easier to handle and safe in operations. The pumps also come with automatic overpressure cut-off as well as the support of adjustable metering profiles that makes the pumps easily adaptable to specific applications. Some of the other standard features of these motorized pumps include ventilation option, illuminated LCD for maximum operating convenience and many more features which makes these highly preferred by customers. 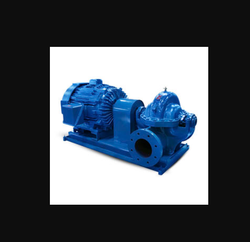 We offer these pumps in different operating specifications as per the usage preference of the customers. We are a chief Manufacturer, Exporter and Importer of the premium quality Horizontal Centrifugal Pump. Our Centrifugal Pumps are stainless steel centrifugal monoblock and bare pumps (coupled). These are precisely fabricated. Its wetted parts are of stainless steel and are widely used in chemical and process industries. As these pumps are fabricated from steel, it is also widely used in dairy, food and beverages industries, RO and DM plant, sea water applications. Our Centrifugal Pump is of international quality at affordable price with minimum delivery period. We offer a wide assortment of Centrifugal Pump, which is extensively used in various engineering, fluid based and other industries for transporting of milk, juice, water, chemicals etc. It is fabricated using high grade stainless steel, these pumps are acknowledged for high durability and flexibility. Innovatively designed, these pumps ensure trouble free performance and energy efficiency. Looking for Horizontal Pumps ?